Built for floating, carving, and catching air. 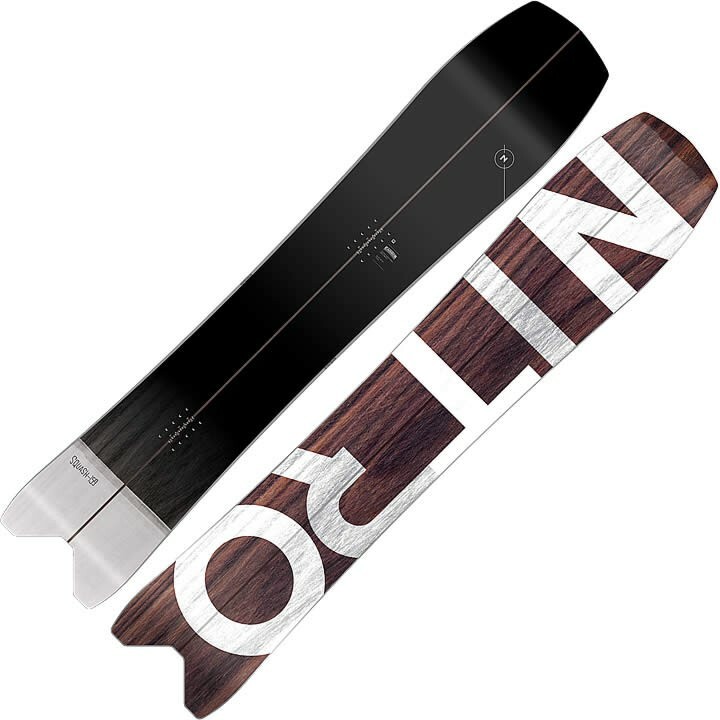 The Nitro Squash snowboard absolutely rips in soft snow due to its huge nose and setback stance. It can also leave trenches on groomers and maneuver quickly in tight trees. Holds up great in variable terrain. The Squash board was received so well, Nitro decided to offer it in more sizes this year the 153, 159, and 163. Pow days and sunny groomer days " the Squash snowboard specializes in all sorts of conditions by prioritizing float through pow and offering a perfect blend of a Progressive Sidecut and Tr1/4e Camber so you can lay into carves like you do it for a living. This Tapered Swallowtail Shaped powerhouse will allow you to charge with finesse through the choppiest conditions, while the Sintered Speed Formula HD Base will allow you to get out of the flats with ease. If you are looking for a snowboard to have fun on during the deepest of days and the regular days " Squash it! Sintered Speed Formula HD base High Density-High Durability. Utilizing a new base material compound, Nitro has been able to achieve higher abrasion resistance, increased wax absorption and higher on-snow speeds.